Just to share my joy at the latest cool stuff found digging through old dusty boxes at old dusty stores in Hong Kong. You can definitely still find a treasure or two if you don't mind to taking your time and getting your fingers dirty. Here are some old wooden mooncake molds, or 月餅模具. Actually the two on the left are mooncake molds and the two on the right are wooden molds for other chinese pastry/cookies. They had probably been sitting in that same old box for the past 15-20 years or something. The store owner, an old man who frowned at me at first but was very nice later on, spoke of the old days of supplying the big Chinese Emporiums in Hong Kong and the eventual die down of demand, etc. The store itself is done the old fashioned way, with the merchandise piled high in a untidy, seemingly random way. A lot of rattan and bamboo craft. Old Hong Kong craft. Very fascinating stuff. But, warning, quite dusty!! I may have to go back for more browsing soon. The finished product! Click image to check out our mooncake recipe. I just love the feel of these mooncake molds, the easy yet precise craftsmanship, the heaviness of the wood, the beautiful folk patterns. And all to make beautiful little chinese cakes! Now that I have these I really must go on with my promise to myself to start seriously exploring the arts of chinese pastries. So far I have made the mooncake (that's our homemade mooncake above) which is pretty good for a start, but there is much more! Oh, for more time, or to be better organized! But nevermind, as my 3 year old daughter always says soothingly to me when I spaz out. I will get to it soon. Mid Autumn Festival fun in Hong Kong! Click image to see more! I'm so excited! It' almost Mid Autumn Festival again! I've been thinking about it and have decided that it's one of my favorite festival/holidays of the whole year! What could be better than everyone happy and positive and surrounded by the nebulous beauty of glowing lanterns and a full moon all through the dark velvety night?! Anyways here are some detailed photos of the mooncake molds that I found in my little corner store. Please excuse the cat hairs as my cat decided to sit on them when I forgot and left them on a chair for a while! I think it will be nice to find such place. How to get there? Thanks for your more information. I hope so for the coming joy. It's a little old shop at the end Belcher Street in Kennedy Town, Hong Kong. A bit after Merton and across from the park. Hope that you have as much fun there as I did! thanks for your kindness reply. 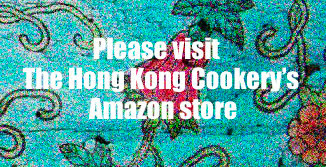 Hi Ellen - I am coming to HK and next month and would like to buy the wooden molds. My grandpa use to make mooncakes, so I'd love to continue with that tradition. Can you suggest locations that may sell them? An earlier post from 2013 didn't have a store name, so wanted to check with you. :) Thanks! amazing, thanks SO much Ellen! !